Ovo je veliki plus za NJD,sad ce ipak konkurisati za bar finale Istoka. Mislis? Ja mislim da nece..
UGOVR Kovalchuk-a je na17 god!!!!!!!!!!!!!!!!! Ilya Kovalchuk has agreed to a 17-year/$102 million contract with the New Jersey Devils. Kovalchuk will make $6 million in 2010-11 and 2011-12. He will then earn $11.5 million in each of the following five seasons, $10 million in 2017-18, $8.5 million in 2018-19, $6.5 million the following season, $3.5 million in 2020-21, $750,000 in 2021-22, and $550,000 in each of the last five years of his contract. This heavily frontloaded contract was almost assuredly designed to keep his average salary over the life of the contract low in order to keep his cap hit down. Kovalchuk could theoretically retire before the contract is over rather than play in his 40s for $550,000 per season. This isn't the first contract to employ this tactic, but it does appear to be the biggest potential offender. Pre ce smak sveta, nego tih 550 000 u 2025/2026.. A da ne govorimo sta moze da se desi sa dolarom..
Mada eto, sa nekih gledista, ovo je i pametan potez..
Za narednih 8 godina.. A posle - videcemo. Mozda sport nece uopste postajati te 2025..
17-godišnji ugovor koji je potpisao Ilja Kovaljčuk sa Nju Džersi Devilsima poništen je od strane NHL-a. Ovo saopštenje je izdato samo nekoliko sati nakon konferencije za štampu, na kojoj je predstavljen ruski hokejaš. Naime, po mišljenju NHL-a, nema šansi da će Kovaljčuk igrati do svoje 44. godine, što onda automatski povećava vrednost ovog ugovora i kosi se sa seleri kep propisima. Devilsi sada moraju da ponude novi ugovor ili da se žale. Kovaljčuk je 2004. osvojio Rokit Ričard trofej, a stigao je polovinom prošle sezone trejdom iz Atlanta Trešersa. 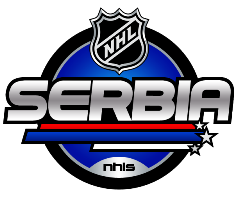 Ovo je podigloo pitanje o ograničavanju dužine ugovora u NHL-u. The NHL has successfully defended its decision to reject the New Jersey Devils' 17-year, $102 million contract with free-agent winger Ilya Kovalchuk(notes), as arbitrator Richard Bloch has ruled against the NHLPA's grievance. The news was first reported by Liz Mullen of Sports Business Journal. That means Kovalchuk is free to sign with any team. The Los Angeles Kings, who held extensive talks with Kovalchuk before he signed with the Devils, reportedly are still interested. SKA St. Petersburg of Russia's Kontinental Hockey League also has made it clear that it still wants Kovalchuk. The Devils can try to negotiate another contract with Kovalchuk that the NHL would approve, but that would involve a less favorable salary cap hit for the Devils or less money for Kovalchuk - or both. "We want to thank Arbitrator Bloch for his prompt resolution of a complex issue. His ruling is consistent with the League's view of the manner in which the Collective Bargaining Agreement should deal with contracts that circumvent the Salary Cap." There's no question that the Devils were trying to get around the salary cap with this contract, which paid $95 million in the first 10 years and then spread out the rest until Kovalchuk would be a 44 year old making $550,000. Which, as any rational human would imagine, he'll never be, having retired well before that time. According to Sportsnet, Bloch wrote in his ruling that the Kovalchuk deal "is a retirement contract" and that it goes "well beyond the typical retirement age for NHL players." The $6 million annual cap hit would keep the Devils from jettisoning salaries this season and leave them financial room to sign players like star scorer Zach Parise(notes) next summer, making Parise and Kovalchuk the marquee players in a post-Marty Brodeur Devils era. It still might happen; just not for 17 years and $102 million. The dispute, in summary: After weeks of courtship, Kovalchuk decided to sign a 17-year, $102 million contract with the New Jersey Devils. It's the same loophole used on other long-term deals like those for Roberto Luongo(notes) and Marian Hossa(notes), though it had never been exploited this emphatically. The team went ahead with a press conference at the Prudential Center the day after the signing despite knowing the NHL may still reject the contract for circumventing the salary cap (and despite its own general manager's misgivings on that practice). The evening of July 20, hours after that press event, Kovalchuk's contract was spiked by the NHL; on July 26, the NHL Players Association filed a grievance on Kovalchuk's behalf. Systems arbitrator Richard Bloch heard the case late last week, and the "Summer of Kovalchuk" saga took its latest turn on Monday. That's huge, because young players like Steven Stamkos(notes) and Drew Doughty(notes) and Parise may have been in line for the same kind of cap-massaging deals that Kovalchuk, Hossa and others have received. Does it close the loophole? Hell no. But it will send a chilling effect through the teams and players and agents that will look to exploit it, which was the point to begin with. It's gravy that the NHL actually won the damn case. Kovalchuk making below minimum wage (by then) at 44 was deemed preposterous by an arbitrator. Hossa making $1 million at 42 and Roberto Luongo still tending goal at 43 while making $1 million -- every bit the insult to our intelligence that Kovalchuk's career projections were -- were deemed possible by the NHL in its approval of the contracts. As usual, a good day for the NHL is also a reminder of how its meek, hypocritical, tacit endorsement of cap circumvention in the past produced the Devils' Kovalchukian Absurdity. It's all cheating; the League just found the right contract, the right player and the right franchise to smack in the mouth with a rolled-up newspaper. If only the Devils had the good sense to end the deal at 43. Because 44 is "well beyond the typical retirement age for NHL players," apparently. What a farce for all. Hahahahahaha... 43 je OK, ali 44 je preterano..
No, morali su da slome na nekome. Izgleda da su cekali Kovija. Saga se nastavlja momci, jos nije gotovo.. A vi sada uporedite ovaj letnji period u NHL-u sa budjavim NBA i "LeBronovom pricom"..
Ovo je citava spanska serija bre za njih..
Jesi ti video ikada u zivotu ovako nesto? Nisi. Tisina. svakako ce da potpise za devilse na kraju. Nemaju mesta, ako hoce da zadrze ovog Parizera i ostale koji valjaju..
Nije se čekao Kovalchuk da bi se ovako nešto desilo već Devilsi. Dobro je poznato koliko ih "Veliki Vođa" Bettman mrzi. Da ga je neko iz original six potpisao na ovakav ugovor progutao bi i nastavio dalje. Ma bre, red je bio da se ovome vec jednom stane na put. Nek povecaju seleri kep, ali da se odredi recimo koja je to gornja granica duzine ugovora. No, ocito je da u ovoj Betmenovoj eri vlada bezakonje. Ko Srbija jbt. Sada je aktuelno ovo, tokom sezone su bili oni blajnd sajd hitovi.. Svemu je tome moglo mnogo ranije da se stane na put. Ko zna sta nas jos ceka..
EDIT: Bice ubacen smajli, sad bas gledam kako ga nema. Koji je "kod"?? Trebalo je da se donese novo pravilo, a ne da se čeka novi slučaj pa tek onda da se donosi. Onako ne bi bilo ovakve frke uopšte. Ja ga uzeo sa endzone-a. Ma znam to, nego kako ide.. ;( ili kako?? The New Jersey Devils are working on another deal to sign Ilya Kovalchuk. Less than 24 hours after an arbitrator ruled that the NHL acted correctly in voiding Kovalchuk’s landmark $102 million contract with New Jersey, team president and general manager Lou Lamoriello said the Devils will continue working to re-sign the high scoring Russian. Lamoriello refused on Tuesday to comment on the ruling by Richard Bloch. The arbiter ruled Monday that Kovalchuk’s 17-year contract, the longest deal in league history, violated the league’s salary cap. Lamoriello said the Devils renewed talks with Kovalchuk after Bloch’s decision was announced around 5:45 p.m. EDT on Monday. He would not get into specifics. Jay Grossman, Kovalchuk’s agent, did not return two telephone messages left by The AP and one e-mail sent to him. Kovalchuk was the NHL’s top free agent this year with 338 goals in 642 career games. What is obvious is that the Devils will have to take a bigger cap hit if they reach a new and probably shorter deal in terms of duration with the 27-year-old Kovalchuk. Under the deal that was voided by the league, Kovalchuk would have only counted for $6 million annually against the cap. The lower cap value resulted because he would have been paid just $550,000 in each of the last five years of the contract. If he re-signs with New Jersey, there is a chance the team might have to move some players to make room for him. Devils owner Jeff Vanderbeek did not immediately return a telephone call left by The AP on Tuesday seeking comment.